Within the framework of German Financial Cooperation (FC), the Federal Government is currently examining the support of a nature conservation project in Tanzania. The objectives are the protection and sustainable use of the natural resources of the protected areas Serengeti National Park (NP), Mahale Mountains NP, Katavi NP, the Katavi-Mahale Wildlife Corridor and selected village use zones in the neighboring districts and improving the living conditions of the residents' population. Component 1:- i.a. participatory land-use planning, income-generating measures and promotion of community-based natural resource management (CBNRM), construction of a bridge over the Mara River, development of the infrastructure in Fort Ikoma and investments in sustainable water infrastructure. Project region: Serengeti National Park (Bariadi districts, Tarime and Burda, limited support for the districts of Ngorongoro and Serengeti). Component 2: i.a. participatory land-use planning, demarcation of the wildlife corridor, income-generating measures and promotion of CBNRM in the districts of Mpanda, Uvinza and Tanganyika, construction of climate-resilient socio-economic infrastructure as well as rehabilitation and new construction of park infrastructure and the improvement of park management. Project region: Mahale Mountains and Katavi National Parks (Uvinza, Tanganyika and Mpanda districts). Elaboration of regular reports on the implementation of the Project according to the agreed reporting structure and schedule; coordinate and supervise the elaboration and submission of inputs for the reports from the different team members. Team player, who is capable of working under different and sometimes difficult conditions. raising awareness of good nutrition practices. The technical assistance services that will be tendered will support the implementation of the first component and will support the coordination of the overall programme. The project that will be tendered will focus on four result areas: (a) improved policy, legislative and regulatory framework, by researching, analysing and promoting policy reforms options; (b) increased trade promotion services by providing capacity building for increased competitiveness; (c) improved sector governance, coordination and dialogue mechanisms across institutions and other actors; (d) increased capacity of District Authorities to support local level agriculture development and nutritional outcomes. The proposed Team Leader in improvement of sector enablers and the business environment will facilitate a smooth and timely implementation of the program including coordination of the overall program and the mobilization of ad hoc expertise for short term assignments if needed. He/she will initiate, facilitate and monitor the change processes supported under the four results areas. He/she will be responsible for reporting to the program management bodies and for the EUD. He/she will also be responsible for the support of staff working under his/her authority and for the quality and timeliness of their deliverables. Proven experience with working with bilateral and/or multilateral development partners, previous experience working as a Team Leader of EU-funded projects and knowledge of and experience with EDF rules and procedures will be seen as an advantage. 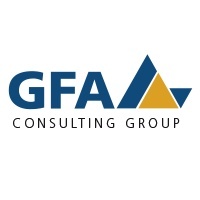 GFA Consulting Group GmbH has formed a consortium with COWI A/S Denmark.